TigerLogic Corporation announced Postano Kiosk, an application for the Google Chrome web store designed for integrating user-generated content into stores and retailers. Postano Kiosk stands as the first socially powered kiosk app developed for Google’sChromebox digital signage offering. The app is optimized to work with Chromebox’s latest updates, allowing retailers to manage and showcase user-generated content from single store activations to rollouts across thousands of locations. The Postano Kiosk app enhances Google’s Chromebox offering by showcasing social media content to retailers’ digital signage and kiosk solutions with the style and polish only Postano can deliver. The Postano digital signage offerings work with content from Twitter, Instagram, Facebook, Google+, YouTube, Vimeo, Pinterest, Tumblr, and many other social networks. The Postano® Platform enables brands to curate the best social content and provides options for brands and retailers to request individual permission from fans on social networks to display their content in the store setting. With Postano, businesses can aggregate and display user-generated content using styled visualizations and displays to match the branding of their environment, in order to further drive brand recognition and fan loyalty. Postano’s unique formatting technology autoscales the content to fit the display for perfect full screen horizontal or vertical layouts while incorporating key style guide elements of the brand creating a premium visual experience. Leveraging the Chromebox technology, the Postano Kiosk application can be incorporated into the number of new devices just announced for digital signage applications. With this addition, TigerLogic continues to innovate the brand experience through integrating social content across digital screen environments. 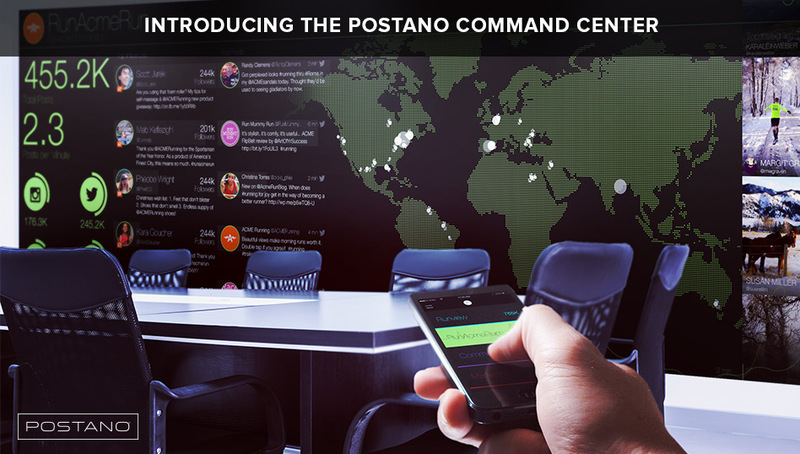 The Postano Kiosk app is now available for download in the Chrome store.